Concept Photo. Office Snapshots – Swiss Consulate/Swissnex, San Francisco. Despite the impact of contemporary workplace factors like technology, communication, time management, mobility, flextime and work/life balance, some things never change. A reality Calgary developer and builder Centron used as a basis for their new-generation office concept at Fountain Court. Various management studies have confirmed that most people still spend one-third of their day “at work.” A specific focus on managers or professionals who had been in their current jobs for a significant amount of time showed an average workweek of 47.2 hours. According to Engagement and the Global Workplace – a recent 270-page research document done by Steelcase – employees who are the most enthusiastic about their office environment are the most productive and engaged, and work for the most successful companies. Centron’s newest demonstration office and on-site fitness centre located at Fountain Court is a contemporary example which proves how a new and unique concept can work for many types of organizations. The dynamic and industry-leading workplace concept developed by Centron, in partnership with Shearer, RGO, Steelcase and Colliers International, captures new thinking in workplace productivity and organizational effectiveness. For decades, workplace factors like square footage and location were synonymous with corporate status, rank, seniority and success. Things continue to change. The influential Engagement and the Global Workplace research showed that the most engaged workers were those who had more control over their work experience and the ability to choose where to work in the office based on the task at hand. High workplace satisfaction is positively correlated with high employee focus and productivity, underscoring that physical workplace can be used as a strategic asset to improve engagement. 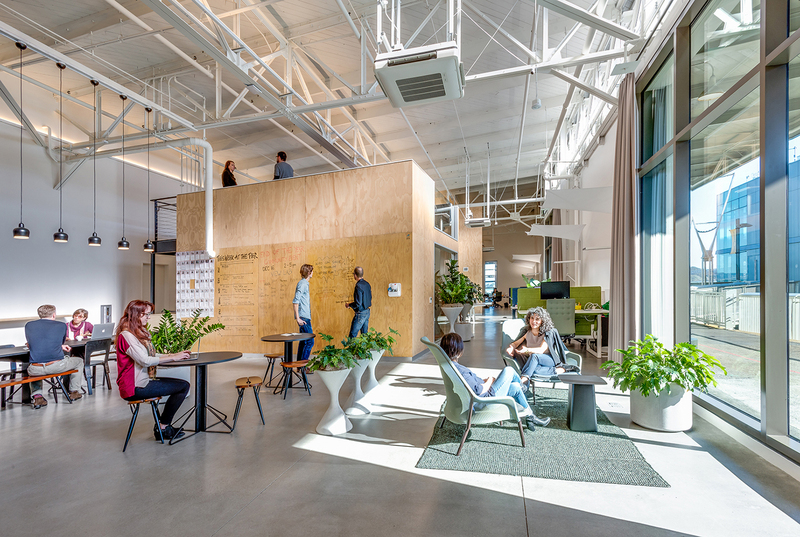 Despite the endless state-of-the-art advances and efficiencies, the most common workplace designs feature a combination of open spaces and private offices. More than three-quarters of surveyed employees say they work in either individual or shared private offices. Allison Clark, Vice President, Development, and Director of Centron Cares, explains, “Contemporary workplace aspects like office configuration, space and even office furniture are key for efficiency and flexibility and it has been proven that productivity is often undermined because an office performs poorly. 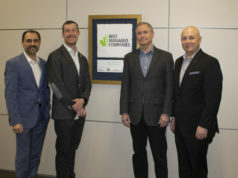 Innovation and forward-thinking are key components of the Centron focus and vision, which is how they have earned the distinction of being an iconic Western Canada builder and developer of prime commercial and residential properties of offices, industrial warehouses, retail centres, hotels and multi-residential projects. Some remarkable Centron achievements include over $3 billion in project value, developing more than 10 million square feet of office, retail and industrial projects, leasing more than two million square feet of office space in the past 10 years and the planning of more than 10,000 residential units, lots and hotel rooms. More information and tours of Calgary’s Fountain Court concept are available by contacting Centron’s Sr. Vice President, Development and Leasing, Michael Anderson at manderson@centrongroup.com.